This entry was posted on 04/03/2015 by hedgewick. 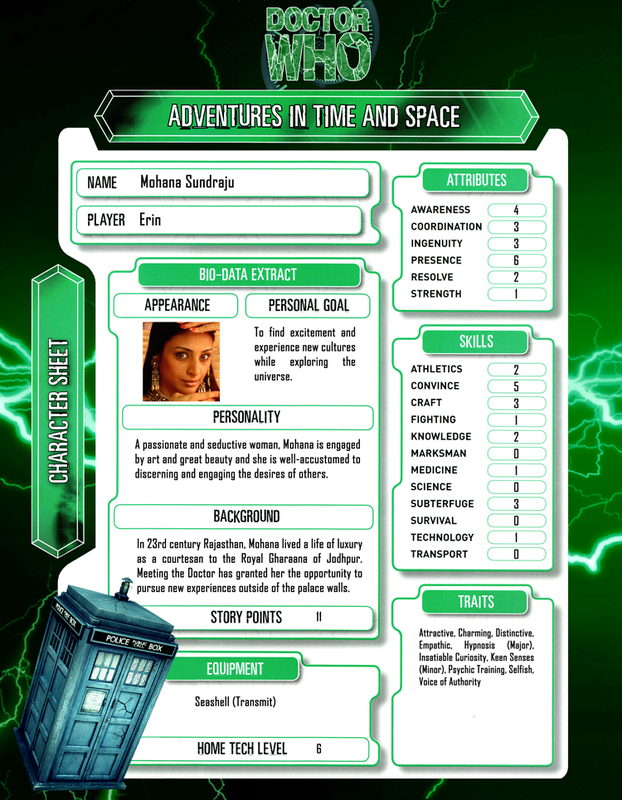 It was filed under The Nth Doctor and was tagged with Character Sheets, Mohana. Shouldn’t the Hypnosis ability be at Minor level? 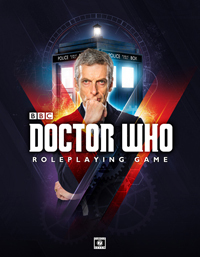 Major “verges on mind control, and not the sort of thing a companion would do”. We allowed the player to choose her traits, and this one was intended to capture the sheer influence of Mohana’s powers of persuasion. You’re right, however. As she is a companion, we can but hope that Mohana will be using her talents for the right reasons!